Cover photo: Despite significant progress, TB continues to claim more lives than any other infectious disease worldwide — over 4,500 a day. The emergence of drug-resistant TB threatens to derail efforts to end TB. 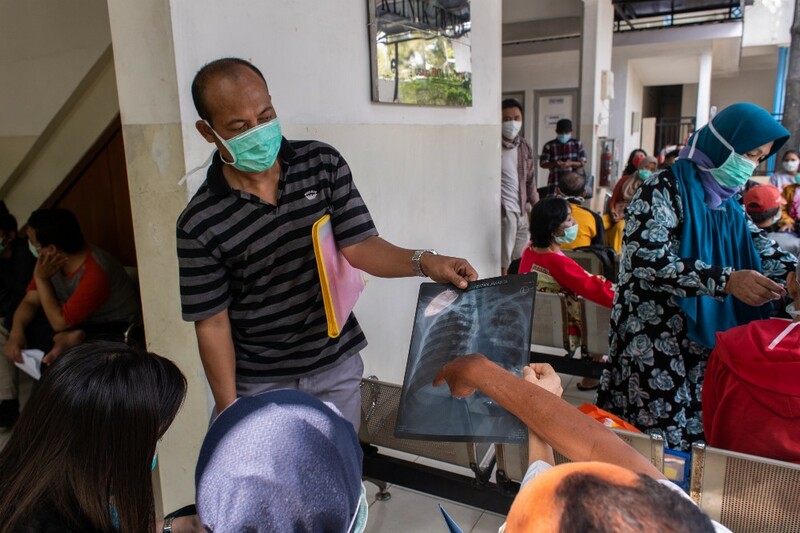 Tuberculosis (TB) is one of the top four causes of death in Indonesia, claiming the lives of an estimated 100,000 people each year. 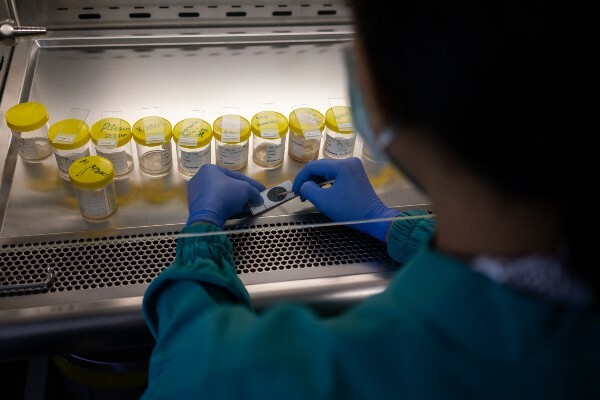 The country has the second highest burden of the disease in the world and new strains have emerged in recent years that are resistant to existing treatment (known as Drug Resistant TB or DR-TB). DR-TB causes immense hardship for patients and poses a significant challenge to health workers. The Sustainable Development Goals have set a target (SDG 3.3) to end the epidemic of TB and other communicable diseases by 2030. TB is an infectious disease caused by Mycobacterium tuberculosis which affects the lungs. The disease is fueled by overcrowded living conditions, poor housing and lack of adequate sanitation. 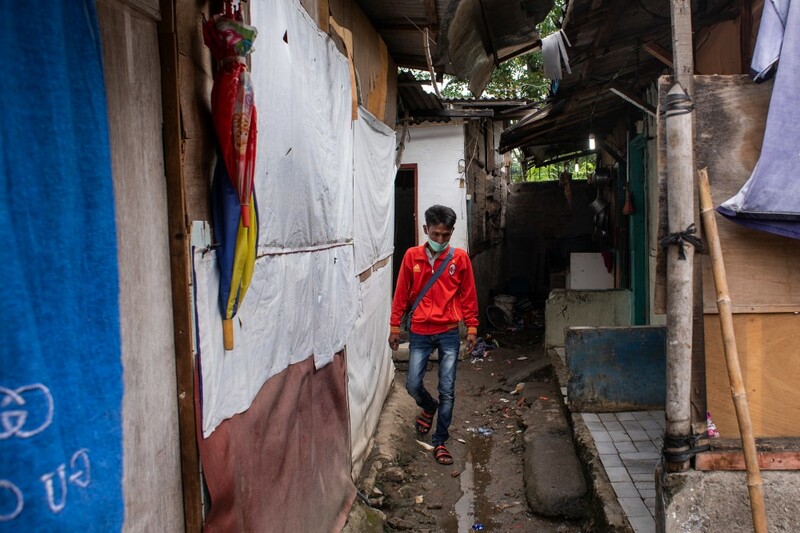 Living conditions that foster TB, such as overcrowding and poor housing, can be found in numerous communities across Indonesia, particularly in urban areas with growing populations. 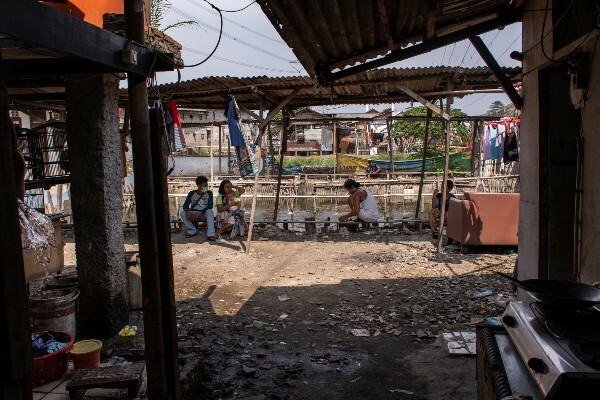 The Duren Sawit sub-district in East Jakarta is one such community. With a population of just over 300,000, close to a thousand cases of TB were confirmed in 2016. Junaedi lives in this community. 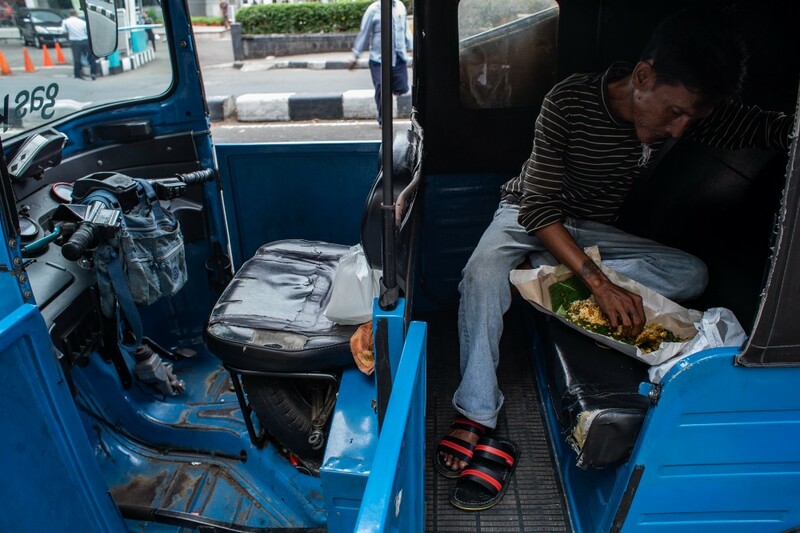 He is a “Bajaj” driver (a local form of taxi), a husband, a father of two, and a person living with DR-TB. He was first diagnosed with TB in 2011 and was placed on the standard treatment regimen. He felt much better after the first month, but then stopped his daily medicine dose because of the severe side effects and the inconvenience of compulsory daily visits to the TB clinic. When he started treatment again after several months, the bacteria did not respond well to the medicine and he was later diagnosed with DR-TB. The TB clinic at Persahabatan hospital is the largest in the country, seeing up to 90 patients a day. Since 2009, it has tested over 13,000 people suspected of DR-TB and treated more than 1,700 confirmed cases. 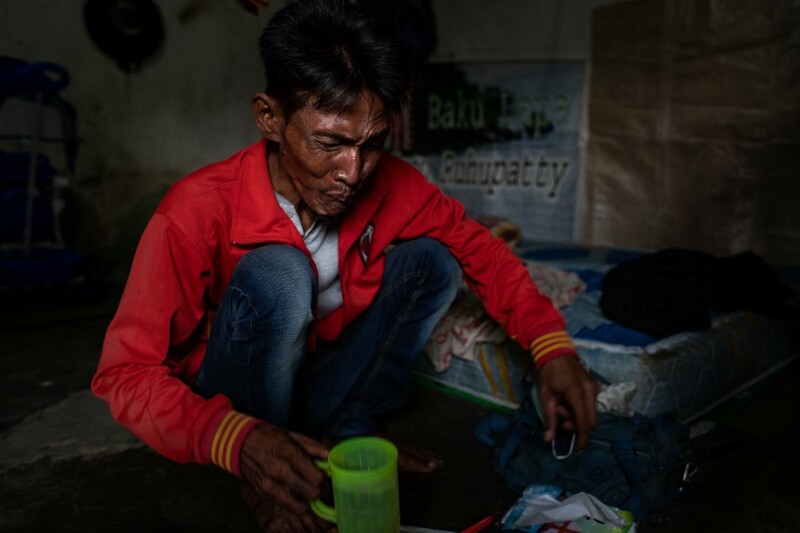 Junaedi visits the TB clinic at RSUP Persahabatan (Persahabatan hospital), the national referral hospital for East Jakarta, every day to take his medicines in the presence of a health worker. He follows a Directly Observed Treatment Short-course provided by the Ministry of Health. It is important to take medicines daily to ensure the eradication of the bacteria and to prevent the development of further drug-resistance. Junaedi receives his medicines from a nurse at Persahabatan hospital. Taking hundreds or even thousands of pills over the course of the treatment is not easy, especially as some of the pills can be large and painful to swallow. Junaedi is enrolled in a new treatment regimen, which lasts for around 9–11 months, and has a high likelihood of a complete cure. It is much shorter and more effective than the conventional DR-TB treatment which can last up to 24 months and requires painful daily injections. However, while it offers many advantages over the conventional treatment, the new treatment regimen is still quite challenging. The treatment is often not well tolerated by patients. “I feel nauseous and drowsy for a few hours after each time I take my medicine,” says Junaedi, who usually has to spend around two additional hours at the clinic after taking his medicines to overcome the side effects. Other side effects can include depression, psychosis, kidney impairment and even hearing loss. The cumulative financial and emotional impact of the daily commute to the clinic, the side effects of the treatment and the time commitment every day can be draining for DR-TB patients, negatively affecting their work and family life. Such hardships may contribute to patient drop-outs and low treatment success rates for DR-TB, leading to devastating outcomes. “I have this neighbor, he died from TB, and we found his stacks of TB pills that he apparently never took,” says Junaedi. Junaedi in his home, with his wife and child. Junaedi keeps fighting for the sake of his family. TB can leave patients and their families in catastrophic financial hardship. 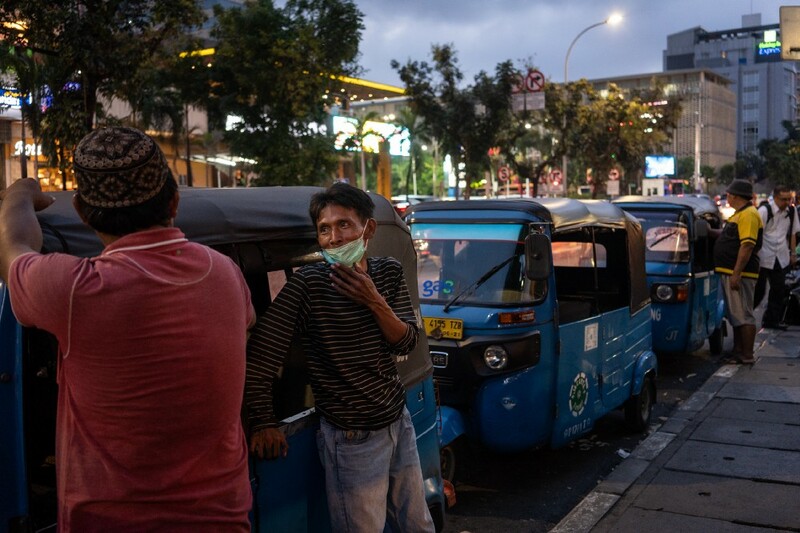 Even though the government provides free TB tests and medicines at public facilities across Indonesia, a recent study found that out-of-pocket expenses (such as travel, follow-up visits, hospitalization, food supplements) and loss of income can total around US$169 for each TB patient. This cost is up to 14 times greater for DR-TB patients, at US$2,342 each, due to the greater severity of the disease and loss of income. 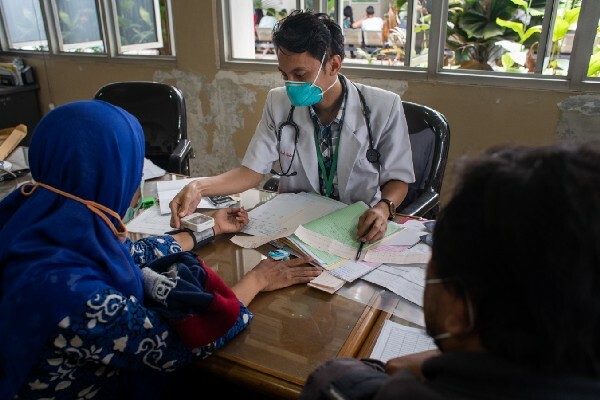 A doctor examines a TB patient at Persahabatan hospital (left); Dr. RR Diah Handayani, a member of the DR-TB clinical expert team at Persahabatan hospital (right). The barriers to effectively diagnosing and treating DR-TB are multidimensional and are influenced by social factors. They include TB-related stigma which often impedes people from accessing testing or treatment services, as well as issues related to mental health, poverty and unemployment. To effectively address these challenges, doctors at Persahabatan hospital have taken a more holistic approach to improving the overall health and well-being of patients. 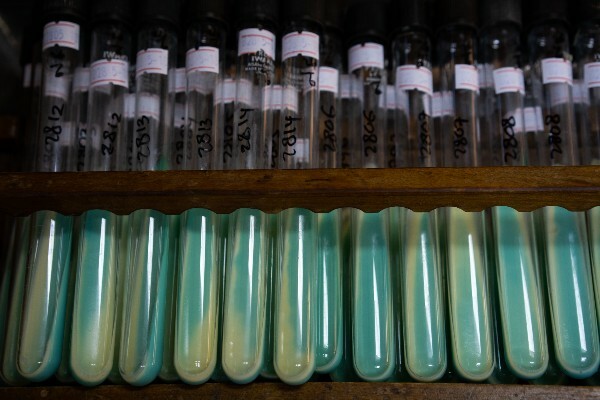 As experienced by Junaedi, drug-resistance can arise if daily TB treatment is interrupted. Putri*, a 14-year-old girl, was first diagnosed with TB in November 2017, which later developed into DR-TB. Putri (in the grey t-shirt) speaks with Darman, a peer educator from Pejuang Tangguh (PETA). Putri is currently studying in Grade 9 and is having to catch up on school work she missed while absent from classes because of her illness. She has been spending time with her friends and “always updates her social media status when hanging out with [them] or eating bakso (meatballs),” her doctor says. 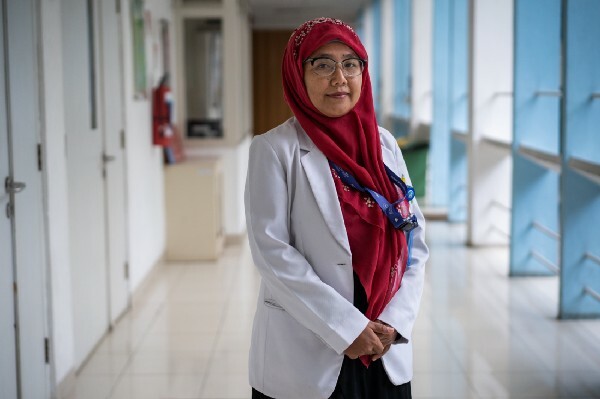 Putri has been able to maintain her treatment course with some help from Pejuang Tangguh (PETA), a CSO which trains and pairs DR-TB survivors with current patients to provide educational and psychosocial support. 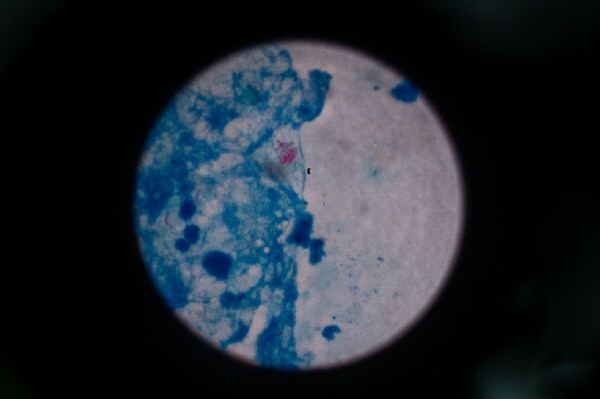 Sputum smear microscopy to diagnose TB, conducted by the microbiology laboratory at Persahabatan hospital. 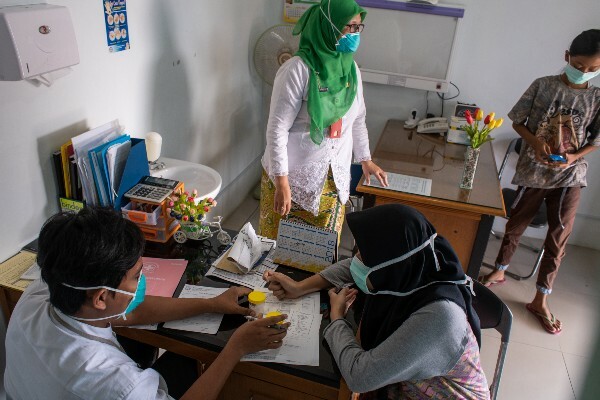 Indonesia’s national TB programme is making significant progress in responding to the threat of drug-resistance. 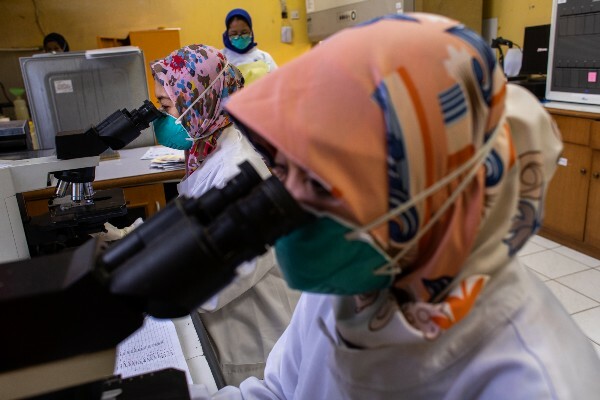 In 2017, Indonesia achieved 100 percent national coverage by establishing 360 DR-TB treatment facilities and 2,300 DR-TB satellite sites across all 34 provinces. Since 2009, the programme has tested more than 143,000 TB patients for drug-resistance and treated 12,372 DR-TB patients. 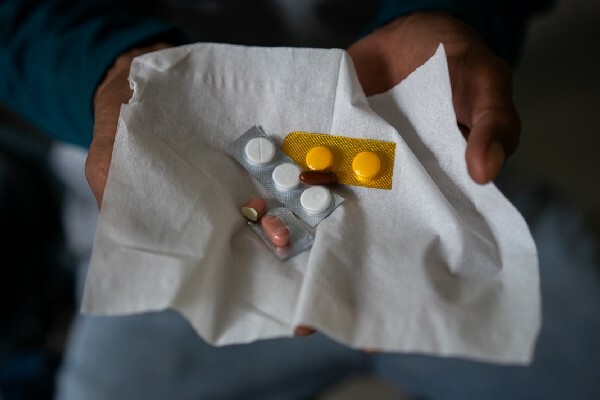 Nearly 2,000 DR-TB patients have been treated with a shorter and more effective regimen that includes the new medicine bedaquiline, since it was first introduced in 2017. However, much still needs to be done. In 2017, less than half of the 5,121 confirmed DR-TB patients were treated, likely because of the barriers posed by the range of economic and social challenges associated with DR-TB. The Ministry of Health is investing significant effort and resources into addressing this treatment gap, forming strategic partnerships and working with various stakeholders, including the United Nations Development Programme (UNDP) and World Health Organization (WHO), to strengthen the response to TB and DR-TB in Indonesia. Since 2007, UNDP has supported the Ministry of Health on implementing the national TB programme. Recently, UNDP helped to strengthen their financial management system, which contributed to the success in securing a US$102 million Global Fund grant for 2018–2020. In addition, the Access and Delivery Partnership (ADP), which is coordinated and led by UNDP in collaboration with WHO, TDR (the Special Programme for Research and Training in Tropical Diseases) and PATH and supported by the Government of Japan, is working with the Ministry of Health to develop policies, strategies and capacities that will contribute to the effective introduction of new medicines, vaccines and diagnostics for TB, as well as for other infectious diseases including malaria and neglected tropical diseases. 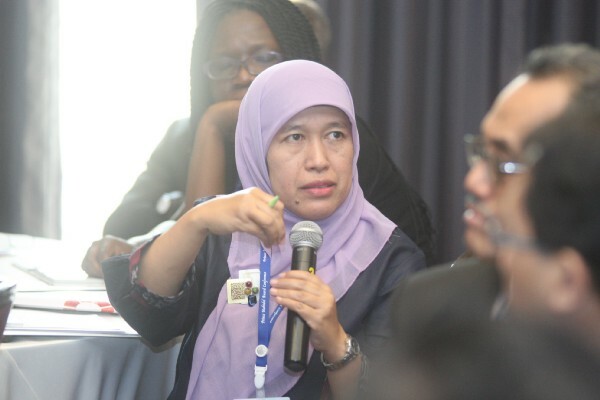 Participants at the ‘Workshop on Pharmacovigilance’ organized by ADP at Bogor, Indonesia, 28–29 April 2015 (left); Dr. Siti Abdoellah, Head of Sub-Directorate of Surveillance and Risk Analysis of Therapeutic Products, BPOM, at the ADP side meeting during the Prince Mahidol Award Conference, Bangkok, Thailand, 27 January 2016 (right). For instance, ADP has contributed to improving safety of new medicines in Indonesia. In 2014–2016, ADP supported the national TB programme, the National Drug and Food Control Agency (BPOM) and public hospitals to enhance their ability to detect and properly manage unwanted side-effects of bedaquiline, a new medicine that is part of the shorter treatment regimen for DR-TB. As part of this support, nearly 200 health care providers and pharmacists were trained on relevant skills such as ‘active safety monitoring’. ADP has also worked with the Ministry of Health to strengthen various systems and capacities that strengthen the TB response in Indonesia, including those related to selection and purchase of quality, affordable medicines, and supporting health systems research that addresses gaps in TB programme implementation. 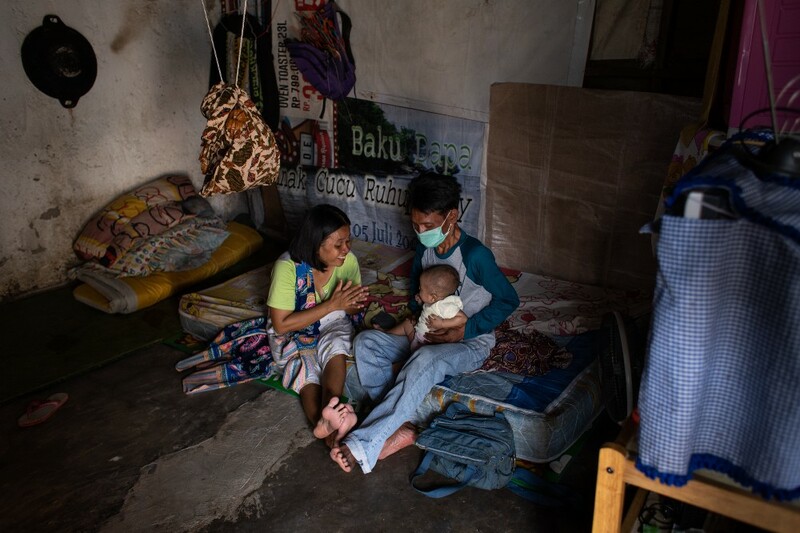 By working in partnership with the Ministry of Health and other agencies, UNDP is promoting policies and practices that sustain and expand affordable access to good quality treatment so that people like Junaedi and Putri, and their families, are able to overcome TB and live healthy, productive lives. Story by Ministry of Health, Indonesia, and UNDP (Mukhlis Hanif Nurdin, Himani Bhatnagar, Ian Mungall and Les Ong). Photos by Fauzan Ijazah for UNDP Indonesia.